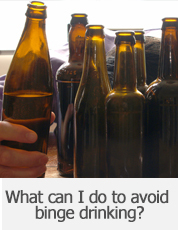 There are diverse factors which are associated with alcohol consumption and alcohol abuse. These include various social, psychological, economic, biological, environmental factors which collectively play a major role in influencing an individual’s alcohol consumption habits. It has also been observed that movies play a vital role in influencing the social framework and the alcohol culture as portrayed in the movies undeniably influences the masses. An increasing alcohol culture in the movies only endorses the existing evil by glamorizing it. 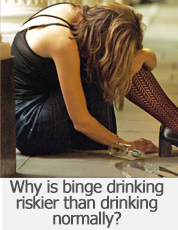 Various Studies have been conducted to find out the factors which lead to binge drinking and alcoholism. In a recent study it has been observed that adolescents are more prone to being influenced by movies and movie stars. When exposed to drinking in movies, they are at an even greater risk of falling prey to binge drinking and develop other alcohol related problems as adults. Macroscopically, even though movies do not directly promote alcohol consumption or other substance abuse, however they do impact the minds of the masses by glamorizing the consumption of alcohol. When people see an actor enjoying a drink or two on reel life and portraying the role of a drunkard, the likelihood of people imbibing that habit in real life greatly increases.Society and movies share a necessary symbiotic relationship. Movies draw inspiration from real life and in turn influence the society, both negatively and positively. These stories and our reality share a connection– some are about the lives we only wish to lead and some are ‘us’, the lives which we lead and we often identify with them and idolize those characters. Some characters pull those heart strings and their emotional journey within the movie seems very relatable to people. How often have we sympathized at the plight of that utterly heartbroken man who’s crying rivers and diving in pools of alcohol for the lost love. We have immortalized that ‘tragic hero’ who couldn’t handle the betrayal when his lady love marries another man and eventually he surrenders the reins of his life to alcohol. The level of pathos around the ‘crestfallen lover’ has been glamorized to such a great extent that it has become a norm to address broken hearted lovers by the name of that character. It is not about only one such character, you wouldn’t even have to dig deeper or rake your brains for hours, there are numerous such movie characters, on the home turf and internationally.It is also observed that there has been a gradual yet a massive shift in the portrayal of a ‘strong, fearless, modern woman’ who works hard and parties even harder but not without a glass of alcohol in her hand or that mafia who sips only the finest scotch.Drinking here becomes synonymous with portrayal of strength, freedom, power and fear. An increased alcohol culture in the movies has turned binge drinking and alcoholism into an ultimate solution to any problem and an obvious extension of human emotions. Consumption of alcohol has been made into a ‘cool’ norm. Celebration, tragedy, losses- of all kinds, you name it and alcohol is the answer to everything under the sun. 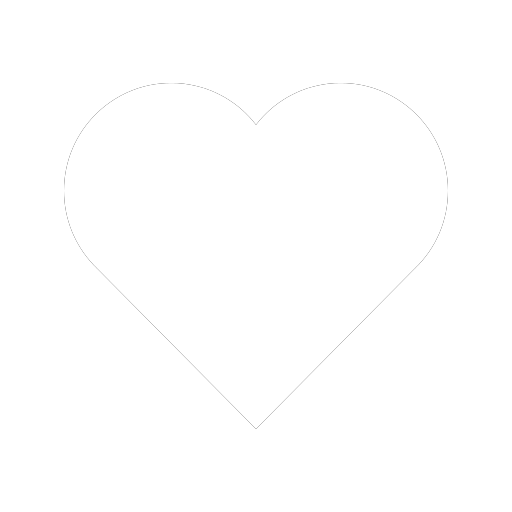 Last we heard, it can mend broken hearts too! Cinema as a medium has also inspired path breaking mass-movements by giving voice to many social causes. Movies are capable to revolutionizing an entire generation and many more to come.The captivating world and character portrayals shown on the big screen have always charmed people. Not only do they idolize the movie stars, but people also idolize the on screen characters played by the actors. People are more prone to be influenced to consume alcohol when they see drinking as a ‘norm’ in movies. Thus, there is a greater need to utilize this medium even more responsibly and positively. Drinking in moderation or ‘low-risk drinking’ as defined by WHO means alcohol consumption of not more than 14 drinks per week for men and not more than 7 drinks for women. This definition refers to the amount of alcoholic beverages consumed on any single day and not as an average over several days. Besides many health benefits, drinking in moderation has its pros. It could save you that nasty hangover the morning after, it saves you from embarrassing flashbacks of drunken mayhem, you get even more points for ‘No Drunken Driving’, to name a few. It gets tricky to get out of a situation when you want to stick to drinking in moderation while others at the social gathering, drink up thoserounds of tequila shots. With the party season in full swing and everyone making merry, it is even trickier to hold your ground and still fit in. But fret not, we suggest some ways to make your life easier. Pretty self-explanatory but we’d save you the trouble anyway. You could be honest about the whole deal, be upfront in telling your friends or colleagues that you’re a teetotaller or you want to go easy this evening. If they understand and respect your decision, great. If they don’t, you’ve got some work to do here. Hold your horses, we mean your safe drinks-count. Zero-One-Two- We suggest you these three as a safe bet. Pick your number and stick to it and please feel proud for scoring a perfect zero here! Also, be aware of the drink size which is being served, very often the serving size is larger than the recommended size. Remember, never tell your secret number. Don’t be in a rush to finish those two drinks you decided on. Go easy and work at a snail’s pace on them as people are more likely to offer you a refill if you hold an empty glass. Also, instead of that cocktail, go for softails, your bombed friends are less likely to know the difference. Liar- Liar, Pants on Fire! Get creative and lie your precious derriere off! We do believe that honesty is indeed the best policy, however as good Samaritans we do have some tips to let your creative bug go abuzz as you stay away from that extra glass of alcohol. Bring that story teller in you to the surface! You could say that you are allergic to alcohol (please don’t say allergic ‘to’ people), poker face or ‘just about to throw up face’ you decide. Bring out the hidden actor in you to the fore here. This is also where an army of your imaginary friends could come to the rescue- you could politely excuse yourself as your ‘childhood friend Jerry is getting engaged to sweet and gorgeous Jenny’, you could also narrate their sweet-love story to the nosey ones. Your other imaginary friend could also be delivering a baby. If remaining sober is your game, you could cite religious reasons too, nobody messes with Gods you see! Baby, Burn that dance floor! Cliché, you may complain but it always works as a perfect excuse! So, you could still be in character of a drunken masterpiece here or be at your sober best , as you please. You could torment or entertain people with the crazy or the awesome dance moves as the case may be. We won’t judge you and neither would your drunken friends, baby dance like no one’s watching. Avoid alcoholic bullies -Child’s play, anyone? No playtime with Chucky…Remember how much fun you had as a kid playing hide and seek? You could have some fun as you try a stunt or two with the alcoholic bullies. The bullies who don’t take no for an answer and push you to have “only one more drink” because ‘they love you so much’. You may find it to be a strange maze to navigate your way through, especially when they’re buzzing around in their alcoholic daze, pestering people to drink ‘some more’. You could also pretend to ‘hear voices’- somebody calling you at a distance and EXCUSE yourself. It’s fun to be silly sometimes, no? This advice comes with a disclaimer though. It would only work at large gatherings. Imagine what fun can you possibly derive if there were only five people under the roof! Also, try it if you must, just for fun but you mustn’t risk ever trying it on your boss. No, never! Remember, you should always plan your escape route beforehand, set an alarm or have an alibi as you plan to slip away. And please oh please, do not turn into a preachy parrot or a party pooper for others who’re enjoying their drinks. Boom! Now that you are ‘moderately’ prepped, put on those ‘smarty pants’ and head out to that party, if you know what we mean. With Diwali just around the corner, endless card-parties with overflowing alcohol come knocking at the door. Does it sound familiar? Yeah, ‘that’ vicious endless loop wherein one last drink never ends. As much as the idea of drinking and making merry sounds enticing, it has some repercussions of its own ranging from waking up with a throbbing headache to disorientation, memory lapse and black outs. 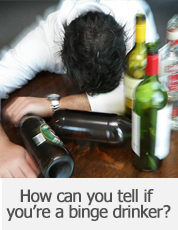 If stretched too far, binge-drinking creates an aftermath of various health hazards in the long run. Never go to a battle unprepared, they say. Never go to a Diwali party unprepared, we say. We have a list of few intelligent do’s and don’ts for you that may come handy as you battle with the perplexities of binge-drinking. Start with the basics- Don’t go empty stomach, eat before you head out to that Diwali party so you don’t feel the urge to binge eat or binge drink. Don’t guzzle down your drinks, go slow and easy as drinking too quickly can make you sick and drunk. Keep yourself hydrated. Alcohol depletes your body of essential vitamins and minerals and leaves you dehydrated. Show some love for the Water of Life- sip a glass or two in between. Don’t mix your drinks but mix them instead with water and ice. Another point to be remembered is to avoid sugary drinks. They say it for the right reasons, well itapplies here too. Avoid sweets while you consume alcohol. As tempting as those delectable Diwali sweets appear to be, alcohol and sweets aren’t the best of friends. Avoid fried foods as they tend to leave you dehydrated. Again, alcohol and those fries can’t see eye to eye and you’d surely want to avoid this double-trouble. Sometimes, competition is good but not when the arena involves a bunch of hammered fellas. Don’t cave in to that peer pressure. We all have that one person in our social circle who never lets us put that glass down, so be a sweet pea and politely decline. Mingle with people who won’t push you over the edge and deep into the pool of alcohol. Knowing your limits is one thing but fervently sticking to those and saying ‘No’ to excessive drinking is an art – you know what we mean! It’s very easy to get carried away while you’re drinking and making merry with your friends and family during the festive time. But that’s also the time when along with your senses the line to reasoning also becomes blurry, which is why it’s imperative to remember the keyword–‘No’. Watch before your cup runneth over. If saying ‘no’ and exiting the binge drinking loop sounds difficult to you, we give you yet another tool of self –mastery, abstain from consuming alcohol all together. No temptation means no fall, simple! So think about it, we say – wouldn’t you rather fly high on the festive happiness than kill its buzz by getting drunk?